Unfortunately, this yogurt's a bit boring for my taste. Despite the delicious-looking dessert pictured on the cup, the product within tastes like a bland, plain yogurt with a touch of fake banana flavoring. A few banana chunks would have helped a lot. Or maybe little bits of vanilla cookies or crumbs of shortbread or something. 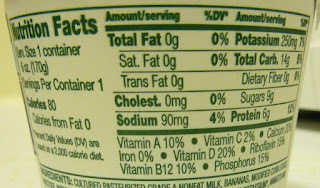 At least bits of banana wouldn't have made it any more fattening. 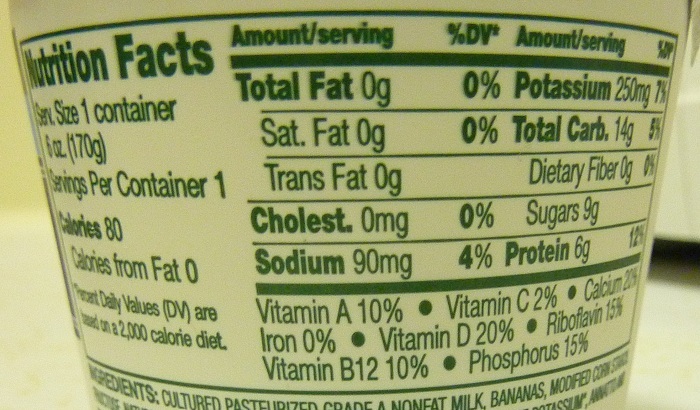 Low-fat yogurt always seemed like a good tide-me-over snack. It usually hits the spot pretty well. Fat free yogurt, however, usually tastes bland and leaves me wanting more. And if my snack doesn't hit the proverbial "spot," I'll usually just eat more, which kind of defeats the purpose of eating no-fat or low-fat foods in the first place. 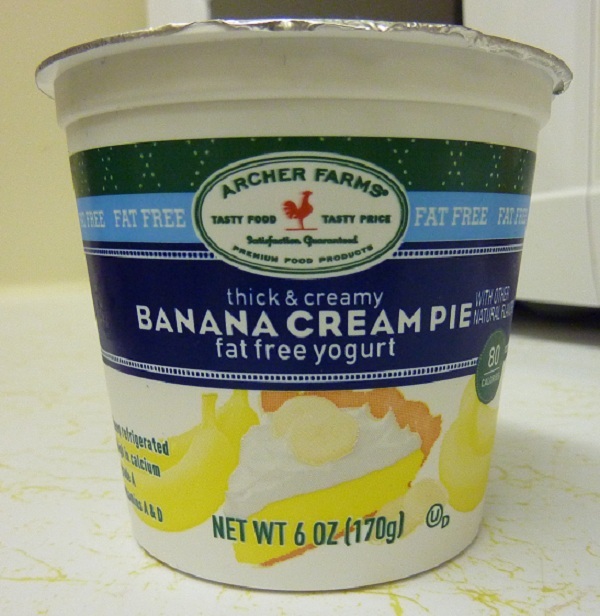 I love banana cream pie, and I generally love flavored yogurt, but this version was a thumbs-down in my opinion. If you disagree, I welcome dissenting opinions in the comments below. Let me know what you think. 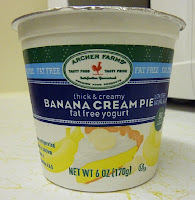 I'll be trying more Archer Farms yogurt flavors very soon, so let's see if they can do better than this one!